your wedding day as memorable as possible for you and your guests. Room service breakfast and late check-out is optional. Check out our special offers and discounts. We have a variety of standard rooms available to cater for your needs. Single rooms, Twin rooms / Double rooms, Triple and family rooms. Main Street, central to all amenities, pubs, shops. Choose your dining experience at the Hibernian. We have a wide ranging menu on offer. 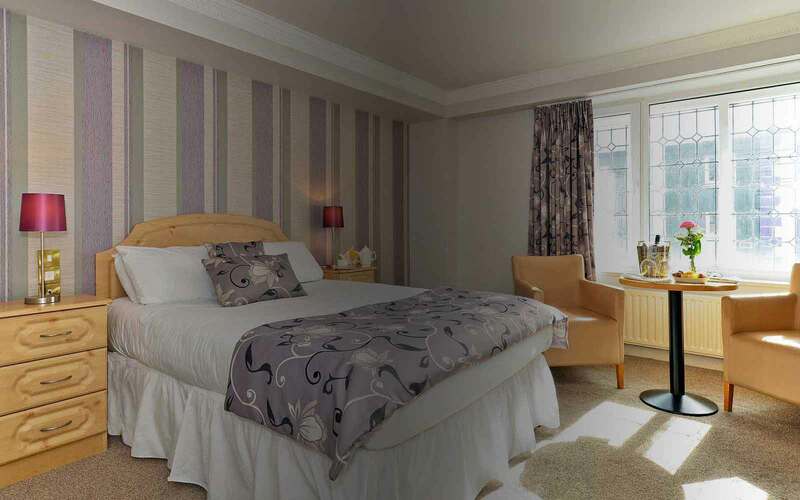 The Hibernian Hotel currently offers Standard single, double and family rooms and Superior double rooms. 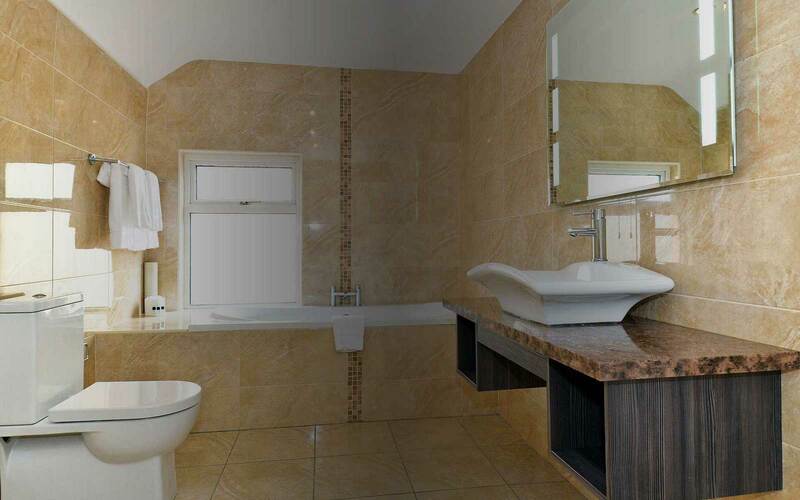 The above picture is an example of one of our recently refurbished superior rooms. All rooms include complimentary use of the HiB Fitness Leisure Centre, Complimentary WIFI & Parking. Our recently refurbished Blackwater Restaurant is open open every evening Mon to Sun from 6pm. 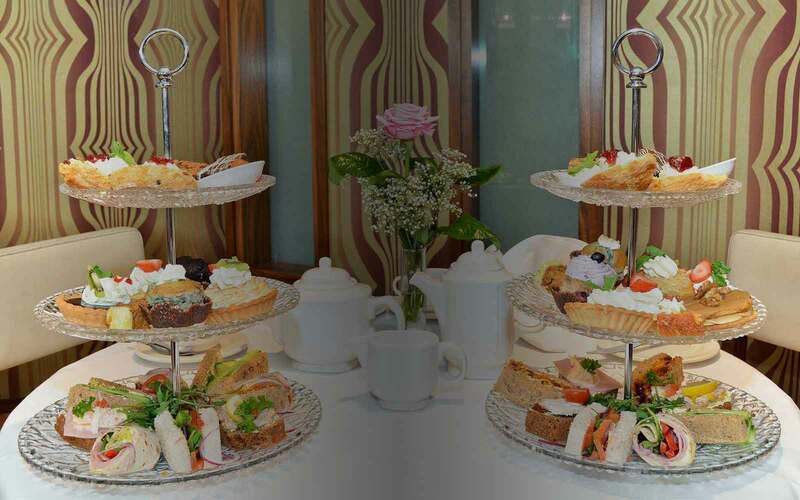 An ideal venue for private functions; christenings, birthday parties, anniversaries, and more. It offers an extensive a la carte menu and wine list. Our Coffee Dock Bistro, serving throughout the day, provides a range of fine cuisine, produced using local produce. Our bar serves food all day, all sporting events are shown on large plasma T.V’s., and there is live music every Thursday to Sunday. You can order food from the Coffee Dock at the bar and enjoy your pint, entertainment and dinner all at once. Why not drop in for one of our evening specials? Our dedicated and experienced team are ready to assist you in making your wedding day as memorable as possible for you and your guests. The Munster banqueting suite has been designed to create a warm and welcoming atmosphere and seats up to 200 guests. 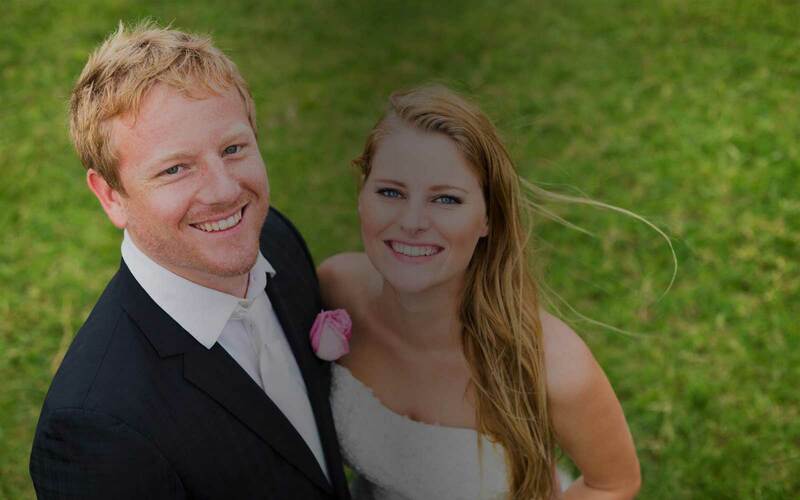 Our General Manager, Kieran O'Driscoll, who deals with all wedding bookings personally, would be delighted to meet with you to discuss either a modern civil or a traditional wedding option. Options include, Red carpet on arrival with Champagne for the Bride and Groom, Complimentary Welcome Reception for guests on arrival and much more. The Hibernian Hotel will also handle all guest bookings directly so you can concentrate on your more important details for your special day! The Hibernian Hotel currently offers Standard single, double and family rooms and Superior double rooms, all with free WiFi and complimentary use of our Leisure Centre. 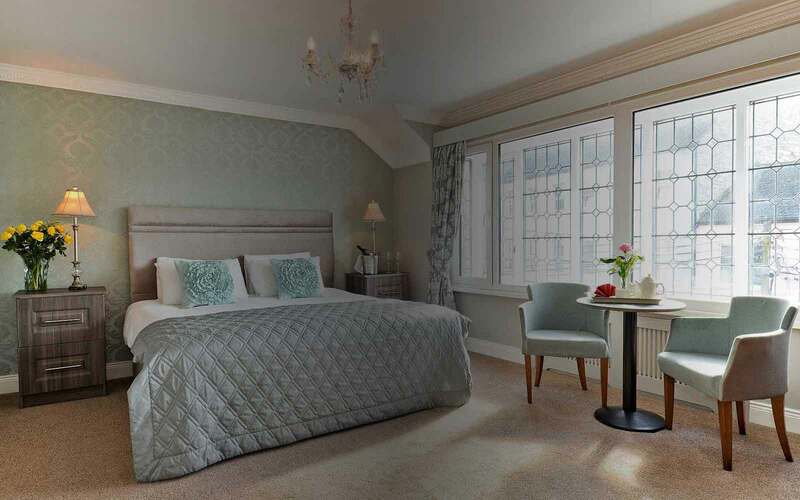 Our newly refurbished Superior Double Rooms with B&B are tastefully decorated to reflect the old world charm of the historic part of the Hotel. Included is complimentary use of our extensive Leisure Centre. Cots and camp beds are available on request. Children under 5 stay free. 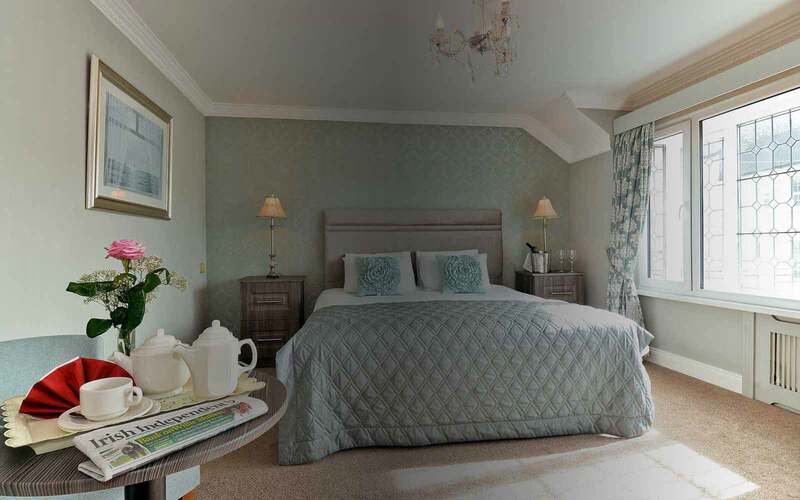 Our newly refurbished Superior Double rooms can be booked as Honeymoon Rooms. Room service breakfast and late check-out is included. These rooms are tastefully decorated to reflect the old world charm of the historic part of the Hotel. Complimentary use of our extensive Leisure Centre is also included. Don’t just take our word for it, see what our guests are saying about their stay at the Hibernian Hotel Mallow. We have many satisfied customers, see what they say by visiting our reviews section of the site. Choose your dining preference at the Hibernian Hotel, you can choose from our Restaurant, Coffee Dock or the Bar. We can also cater for all Special occasions such as Birthdays, Christenings, Communion, Confirmations. We are delighted to announce the re-opening of our famous Blackwater Restaurant. Located at the rear of the Coffee Dock, the Blackwater Restaurant is the ideal venue for intimate parties wishing to celebrate christenings, wedding anniversaries, 40th, 50th, 60th, 70th birthday parties – and we’ll cater for those younger and older than that too!! Our Coffee dock and Bistro is open daily from 7.00am. It offers a relaxed and informal setting for breakfast, lunch or an evening meal or just catching up with some friends. Delicious food is served all day with a fast efficient service. Each day our head chef and his team prepare the finest ingredients with local produce. A great meeting place with friendly efficient service. Our modern themed bar serves food daily from morning coffee to evening meals. Watch your favourite sports on our large plasma screens. Centrally located right in the heart of the Market Town of Mallow Co Cork, the hotel offers more than just accommodation & food, check out some more of our services below. Why not go for a relaxing swim after check – in ? We also have a sauna, steam room, jacuzzi and extensive gym with free weights room. The Hibernian Hotel is an ideal business meeting venue located in the heart of Mallow, we offer a diverse selection of meeting, conference, exhibition and banqueting rooms, offering a relaxed and friendly atmosphere with high standards of quality and service. The Hibernian Hotel is located close to Mallow Raceourse. Why not plan your next outing to the races with a stay at the Hibernian Hotel. We offer specials on Race nights and weekends. Contact us for more information. 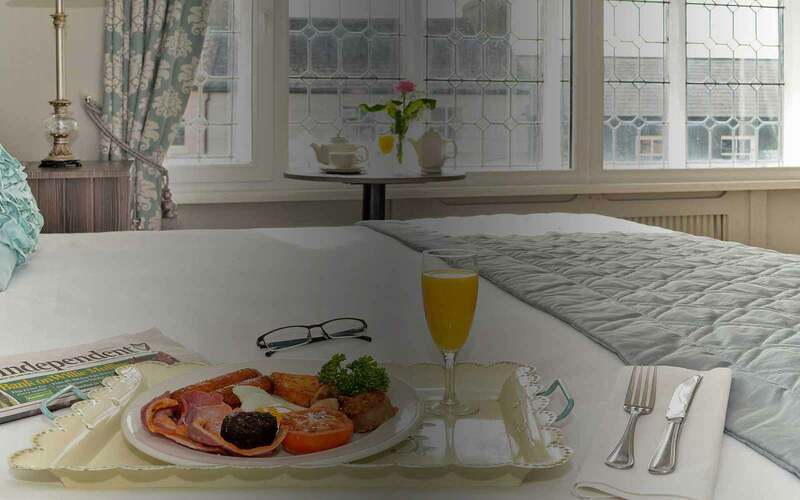 The Hibernian offers regular special offers and discounts. Check back to the site on a regular basis to bag yourself a bargain! Please don't hesitate to send us an email or give us a call. We would love to hear from you. Whether its booking room, something for a special occasion or planning your big day we would be delighted to help. The Hibernian Hotel Mallow is located on the Main Street, central to all amenities, pubs, shops and things to see and do are all within walking distance.